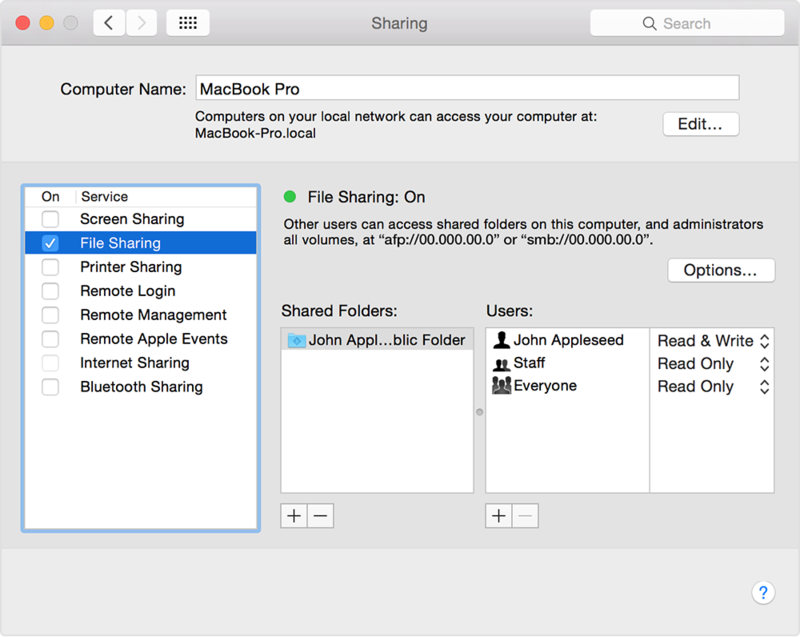 Is it OK to have kerberos-sec port open to the Internet in Mac OS X? I’ve just bought my first Mac I want to connect it directly to the Internet in a colocation facility. I’ve deliberately started the SSH and VNC services. Is it okay for that port to be open to the Internet? If not, how can I close it? When I tried setting up the firewall, the only applications were Remote Management (VNC) and Remote Login (SSH). I had used the File Share feature earlier and turned it off, but somehow the port was still open. So I just went there again, checked and unchecked it and after running nmap it was closed! Not the answer you're looking for? Browse other questions tagged macos networking firewall vnc kerberos or ask your own question. How to set up GUI remote control to Linux on Azure from Windows?